Most coffee creamers are filled with additives, syrups, artificial flavors, preservatives and commercial cows milk. I am very sensitive to dairy and try to avoid most dairies for ethical reasons, although there are a few local dairies that I love. This makes it hard to find a good creamer! 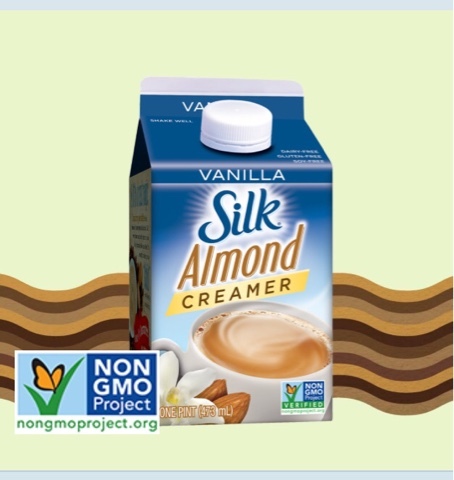 Almond milk creamers are now growing in popularity, offering an interesting alternative. This is the first time I have decided to purchase almond milk creamer. I was craving some of the random delicious yet bad for you creamers so I decided to give it a go. I found these two brands at Target! My favorite dairy creamer is Coffee Mate's Italian Sweet Cream. It reminds me of working at Cold Stone back in the day haha. Silk and Califia do not offer this flavor at the moment but they both offer vanilla and caramel. I tried one of each, figuring that the texture and sweetness will sway me more than the flavor. Silk is sweeter than Califia and because of this it tastes more like Coffee Mate when sipping it plain. I am not a fan of the after taste, however. Califia is thicker and contains actual almond cream. The caramel flavor is tan while Silk's vanilla is white. Califia feels healthier than Silk. It is not as sweet and its texture is creamier. If you are craving a dessert coffee, you'll have to use more Califa then Silk. In the future Id love to try a coconut based creamer. I have tried a powdered coconut coffee from Costco that my husband and I both love. If they made a powder or liquid creamer I would totally buy it. I think it would be creamier and better overall. Almond creamers are okay but they don't totally satisfy my Coffee Mate craving. I might buy them again since most dairy creamers make me break out. As delicious as Coffee Mate can be it certainly isn't worth a bad break out! Hope that you all are having an amazing week!